England to beat the Welsh rarebit; a recipe! The six nations’ rugby championship shines brightly through the cold misery of winter. Over the next two months, the serried ranks of England, Ireland, Scotland, Wales, France and Italy will compete with passion and considerable skill. Each player, driven by patriotic power and pride, will create an event that is as near as possible to war but ultimately remains a spectacle for enjoyment. It all starts on the first Friday in February with the lionhearted roses of England will attempt to slay the massive dragons of Wales. Unusually this is an evening game rather than one kicking off in the early afternoon or teatime. This has two consequences. It means the pubs will be even fuller than usual, which means I will watch the game at home, far away from the teeming throng.Secondly, the food demands of an evening are rather different to those required for an afternoon match. One factor though does remain the same whenever a six nations’ match takes place – “Eat what you beat.”. 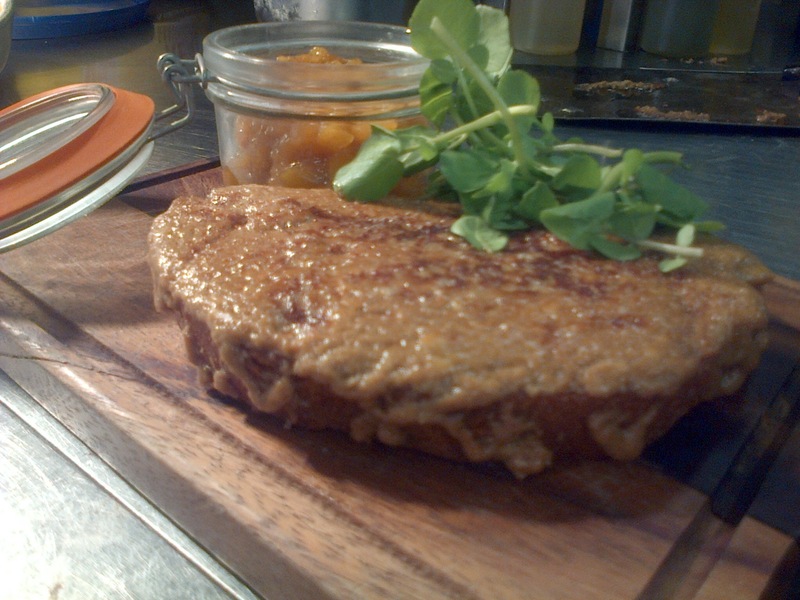 I can think of one perfect victual for an evening encounter with Wales in Cardiff – Welsh Rarebit. The day before the big match make the welsh mixture. Pour the Guinness and Worcester sauce into a saucepan and reduce on a high heat, until the liquid resembles a thick almost oil like consistency. Meanwhile, if your factotum hasn’t grated your cheddar, you must get on with it. Add the double cream to the reduced stout, whisking it to avoid splitting, reduce on a simmer. This can take a while so now is a good time to read one of those pre-tournament guides and have a delectable whisky (while one might be tempted by an Irish whisky if that nation was the opponent, I cannot recommend that the Welsh equivalent is an adequate substitute for Scotch). The cream is ready when it coats the base of the pan and one can make a line in it with a spoon. Remove the heat and slowly whisk in the egg yolk and mustard, being careful not to scramble them. Finally add the cheese by the handful and whisk over a low heat until fully combined. Pour into a loaf tin and leave to cool down. Go to sleep and dream of leeks and daffodils and wait for tomorrow. Once the oversized brutes in old school rugby shirts have assembled in your house, replenish them with cold beers and patriotic songs. Turn on the television. Upturn the rarebit into a loaf. This can be tricky, but a palate knife wriggled down the side should ease it out. Toast some bread (an artisan loaf is best), then slice the rarebit and cover the toast with the slice. Pop under the grill until coloured. Serve with chutney and some watercress if you feel poncy. ← Black, white, and red all over!